Imagine you have braved the wintery north Atlantic in a rough and tumble fishing vessel or in the opulent elegance of a more modern ocean liner. Or, perhaps you’re just sailing your single-masted sailboat. You’re searching, through the darkest night, with ice crystals forming on your eyelids and a nor’easter bearing down on you, for some sign of a safe harbor. Then you spot that beacon. From 30 miles away you can see the Lighthouse light. Sanctuary is spotted, safety, while not assured, is at least within your grasp. Lighthouses hold a special place for people who love the sea. They’ve been around for millennia and even today, with GPS and radar, they stand as sentinels of the night for sailors around the world. 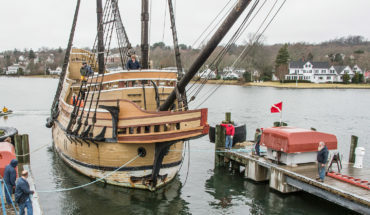 Here’s a fascinating look at one such lighthouse, the harbor lighthouse at Mystic Seaport. These artifacts from the age of sail once decorated the bows of ships. The Mystic Seaport collection reflects the imagination and dreams of those who took to sea. Don't miss this exhibit that breathes life into the legends of the sea. Come learn the story of America's journey from whale hunting to whale watching. Come stroll the streets of a recreated 19th-century whaling village. Take a horse-drawn carriage ride or visit authentic period gardens. 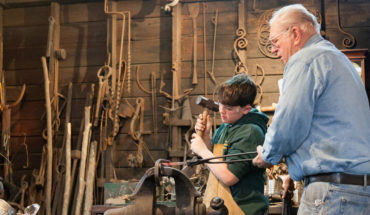 From woodcarvers to coopers, experience the world of yesterday. A sailor's life depended on reading and understanding the stars. Come see the night sky as they might have. Each season's show is different, compelling and suitable for children as young as five. 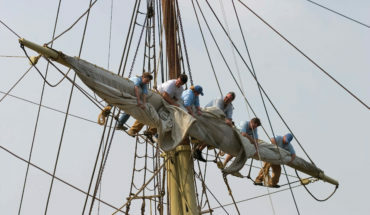 From the whaling ship Charles W. Morgan restoration to sailing camps, Mystic Seaport maritime museum in Mystic, CT has activities and exhibits for everyone.